Can you please tell us, what’s your background and what is your role in Bee Albania? I work since more than 15 years in the international development sector, including promoting sustainable livelihoods and micro-scale income generating activities. I am the contact person at Bee Albania for everyone who is interested in the Honey Trail, needs more information or wants to book a Honey Trail tour. Tirana-based Sondor Travel is the other half of Bee Albania. Sondor Travel is a family-owned tour operator in the second generation and as the local host takes care of everything on the ground. Together, we share the passion for new approaches towards sustainable and socially mindful tourism that make the Honey Trail such a unique travel experience. What sparked this sweet idea? The idea for the Honey Trail was born during a trip to Albania with a friend: Keen bee-lovers ourselves, we noticed the colorful beehives in many gardens and the apiarists who sell their harvest along the roads. On our way, we met Dorien Malaj of Sondor Travel and a discussion unfolded about Albania’s love for beekeeping, sustainable tourism and how well these two would go together. E-Mails went back and forth over the next months and the Honey Trail started to take shape, in close cooperation with the Albanian Beekeeper Association: Taking visitors on a journey to explore Albania’s long tradition of beekeeping to offer a unique perspective on Albania and its culture while at the same time supporting rural beekeepers. We offer two fixed itineraries and also tailor-made tours (guided or self-drive options): Whether a group of newbees, friends or family, hobby beekeepers or experienced apiarists, we prepare a unique Honey Trail experience according to specific wishes and interests. What makes the Albanian honey unique? Honey is highly valued in Albania. Albania’s climate and vastly beautiful landscape provide ideal conditions for beekeeping. ¾ of the country is mountainous, offering an amazing wealth of forage plants and wildflowers. And since Albania has both Mediterranean and Continental regions, there is nectar all year round. So it is not surprising that beekeeping and Albanian honey, especially specialties like the chestnut honey, have such enormous potential. How does honey stick to the physical and cultural landscape of the regions included in your tours? 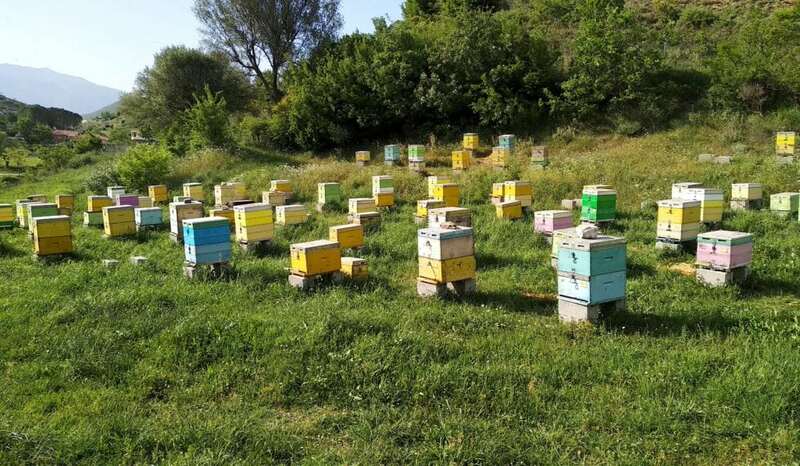 Beekeeping and honey-making are tightly linked to specific regions in Albania: In terms of quantity, Korca and Vlora are important honey-producing regions. The Llogara area is famous for its local honey – mainly from heather, thyme, and ivy. The Lezha region is renowned for sage honey and the production of heather honey in the highlands of Mirdita. And Tropoja has one of the largest chestnuts massifs in the Balkan and is famous for its deliciously intense Chestnut Honey. Which honey is your favorite? The Arbutus honey is probably one of the most unique kinds of honey: It is made mostly from the strawberry tree blossoms and only produced in few places around the world. In Albania, the Arbutus honey is called „mjalte mareje“, and since generations harvested in der region of Përmet where the strawberry tree is widespread. It has an unusually strong and adventurously bitter taste, goes very well with cheese and is highly active with great antibacterial properties. When is the best time to visit Albania on a Honey Trail tour? Honey harvesting in Albania takes place from spring until late autumn, depending on the region, so the best time to go on a Honey Trail tour really depends on which parts of Albania you want to see: For example, end of May and June is harvesting season in the Lezha region and for the chestnut honey in Tropoja and the best time to explore the natural beauties of Northern Albania and the Albanian Alps on the Honey Trail. In August and September is honey harvesting in Llogara and in October in Permet, making this period a wonderful time to discover the South of Albania on the Honey Trail. 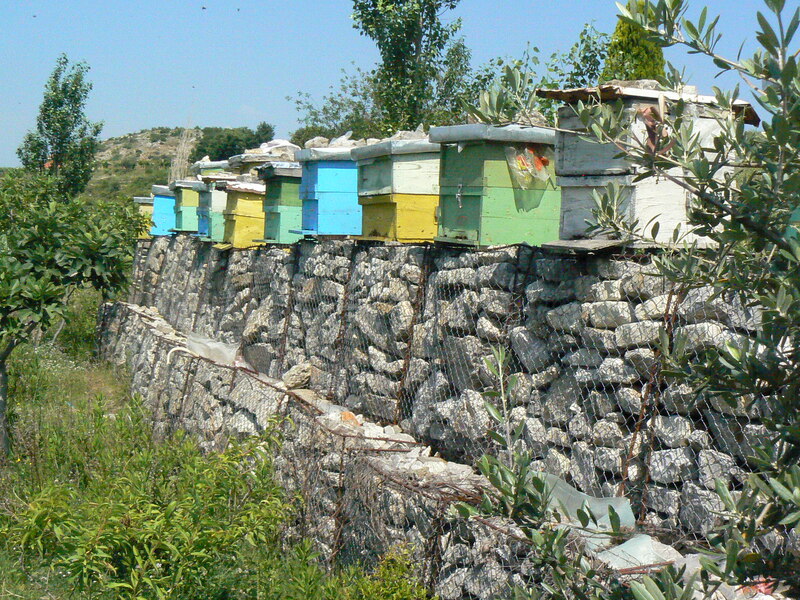 What do you find to be the most exciting thing about Albania and its beekeeping culture? Albania has this long and rich tradition of beekeeping: Beekeeping has been vital to rural economies in Albania for over 2,000 years: The Illyrians in the 5th century already used to prepare wine from honey in that area. Nowadays, beekeeping is a popular subsidiary occupation and accounts for a major part of the livelihood of rural families in Albania. Most of the farmers have more than a decade of experience and preserved a lot of traditional practices. Now, beekeeping is very much on the rise, especially in the past 20 years: The number of beehives grew from less than 50,000 in the early 90s to more than 350,000 today. What can people expect to learn, taste, experience when they join the Honey Trail? On the Honey Trail, visitors visit bees and their keepers and experience the journey from bees to bottle. We taste different honey specialties and learn about Albanian beekeeping practices and other bee products such as propolis. 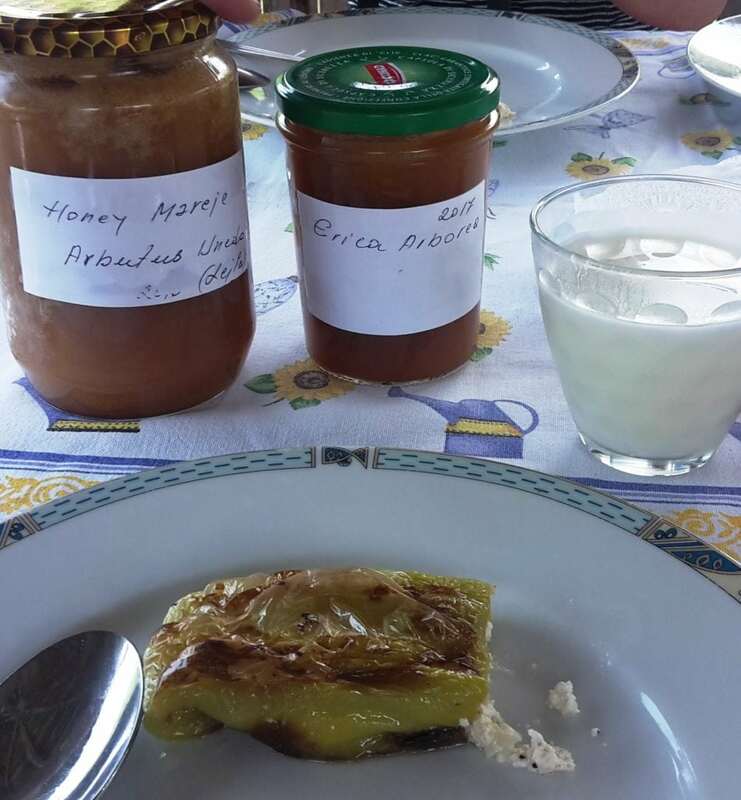 We discover the goodness of Albania’s cuisine and prepare typical food ‘me mjaltë’ (with honey) during a cooking class. We visit farmers who give us an insight into their organic practices and go on hikes in Albania’s beautiful national parks to explore the wealth of wildflowers, herbs, and trees that make the Albanian honey so special. And we take time along the way to delve into Albania’s history at places like Kruja or the UNESCO sites Gjirokastra and Butrint. Does the Honey Trail provide tourists an authentic Albanian experience and what is an aspect that might surprise visitors? 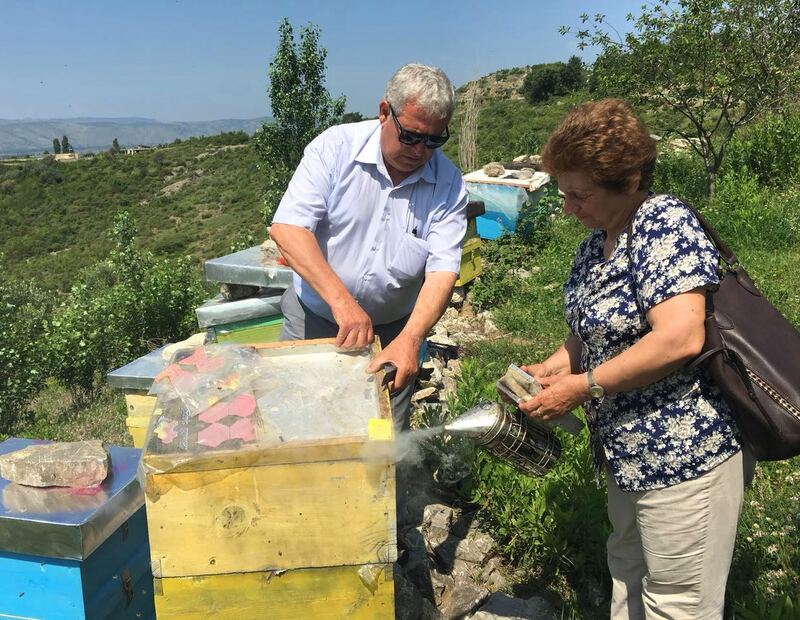 Taking time to meet and connect with local people is at the heart of the Honey Trail – opportunities to gain unique insights into Albania’s beekeeping tradition and local lifestyles and experience above all Albania’s great hospitality. There’s an old proverb that says “‘Shpija para se me qenë e Shqiptarit, asht e Zotit dhe e mikut’, which means ‘Before the house belongs to the owner, it first belongs to God and the guest.’ Albanians really enjoy taking care of their guests, and their warm and generous hospitality will really carry you along the Honey Trail. What’s the impact that the Honey Trail has on the life and economic development of local communities? We believe that tourism has a vital role and responsibility in promoting sustainable livelihoods and equitable socially-responsible and inclusive local development. It was important for us that the Honey Trail contributes an added value in this regard. We want to ensure that the tour appropriately benefits all – beekeepers, communities, the beekeeping sector and rural beekeepers in particular. A part of the Honey Trail tour price will be re-invested to support in cooperation with the Albanian Beekeepers Association beekeepers in rural Albania to become more profitable and sustainable. We also make it a point to stay or eat in small family-owned guesthouses, shops, and eateries along the tour and work with local organizations, guides or rangers from the respective area or place we are visiting along the Honey Trail. We strive for long-term cooperations with these partners to support solutions that are viable for all, reliability and sustainability. From a German tourist point of view, what are the strong points of Albania’s tourism industry? You have it all in one small place: Beach, mountains, ancient history and pristine nature and all topped with the most amazing and generous hospitality. It is really this amazing mix to fall in love with! Albania has something to offer for everybody and makes it easy to experience a lot of different activities, even if you don’t have much time. If tourists are bees, what sector of the Albanian tourism sector is the honeypot? Previous PostWho Is Empowering the Next Generation of Young Entrepreneurs in Albania?